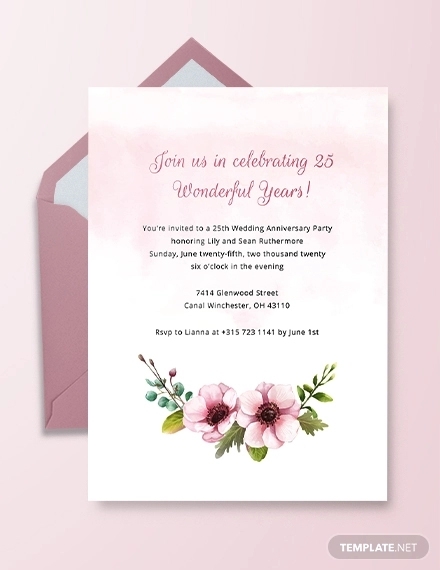 It is one thing to have card designs for to invite guests to grand occasions like weddings, but card designs for wedding anniversaries are something else entirely. 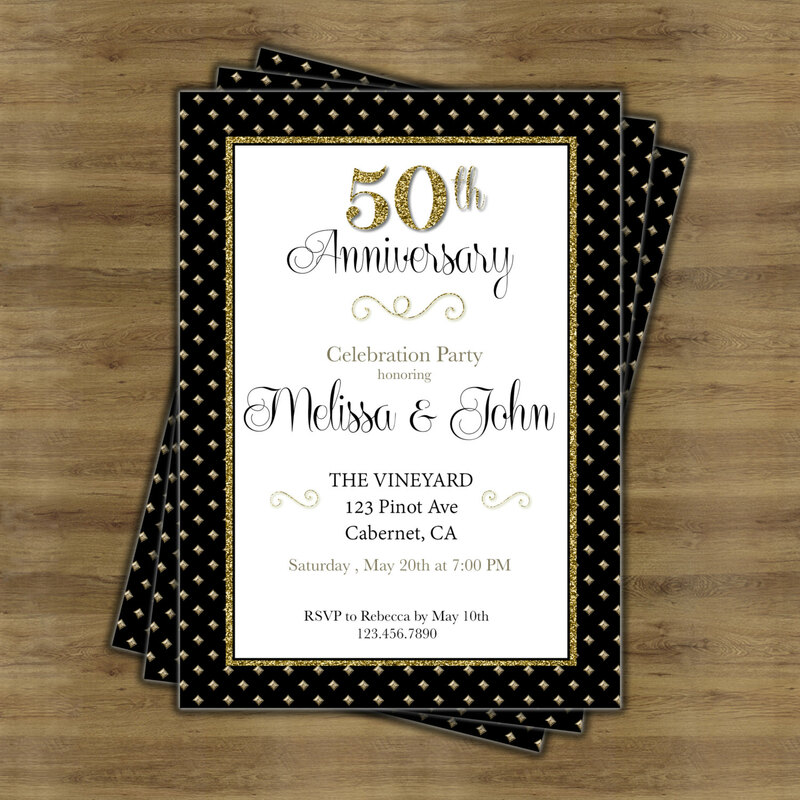 Anniversaries are still an occasion where many people would wish to celebrate with a couple. 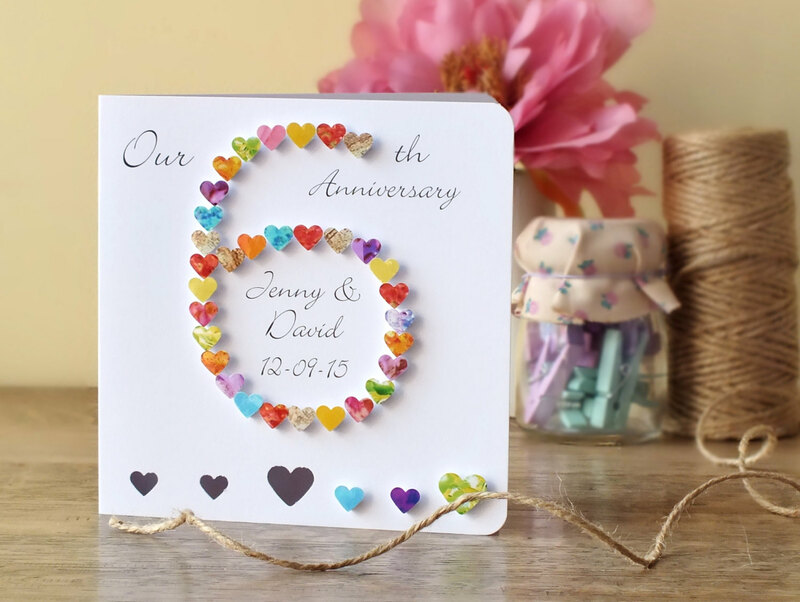 As such, it would make sense if you want your wedding anniversary card designs to reflect the celebration for all the years a couple has spent together. 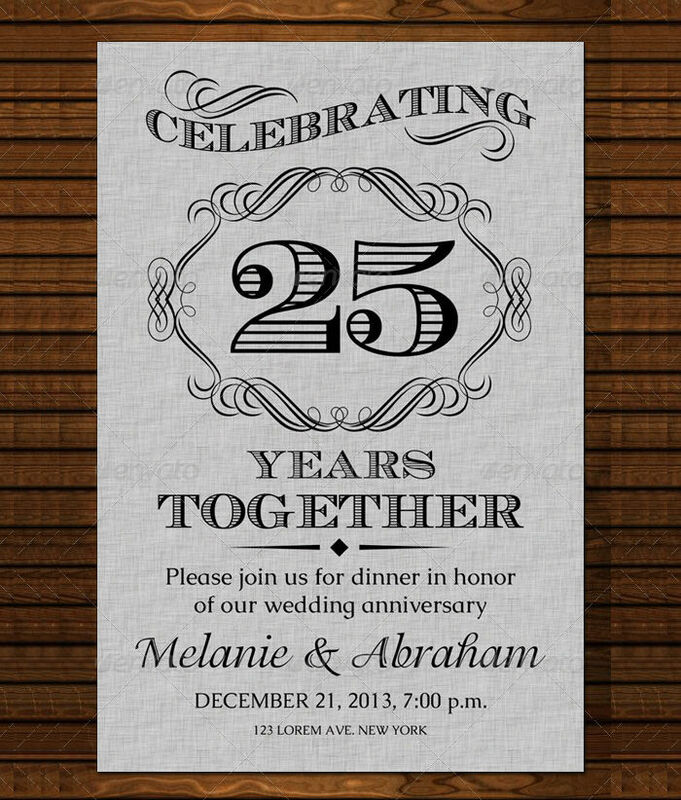 If you want your designs to let people know that you are celebrating a wedding anniversary, since we have designs that show the number of years you have been married, then these selections should be what you need. 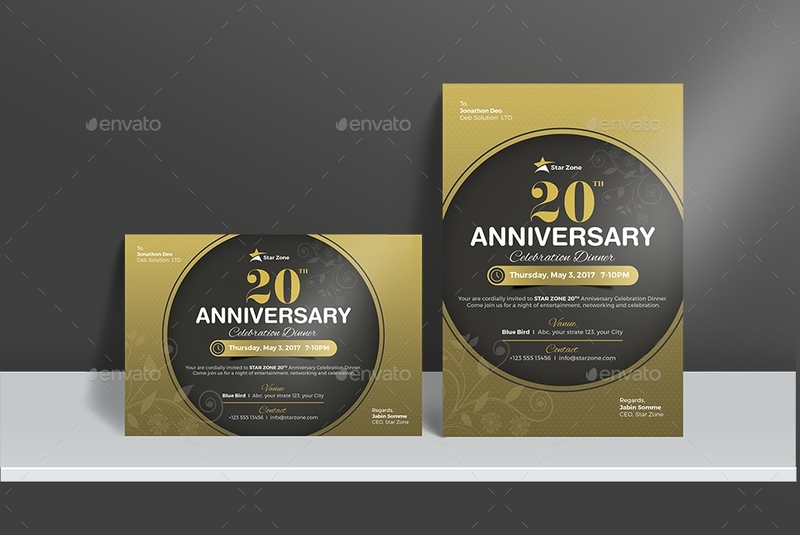 You may need anniversary invitation templates to make customized invitations to celebrate a wedding anniversary. 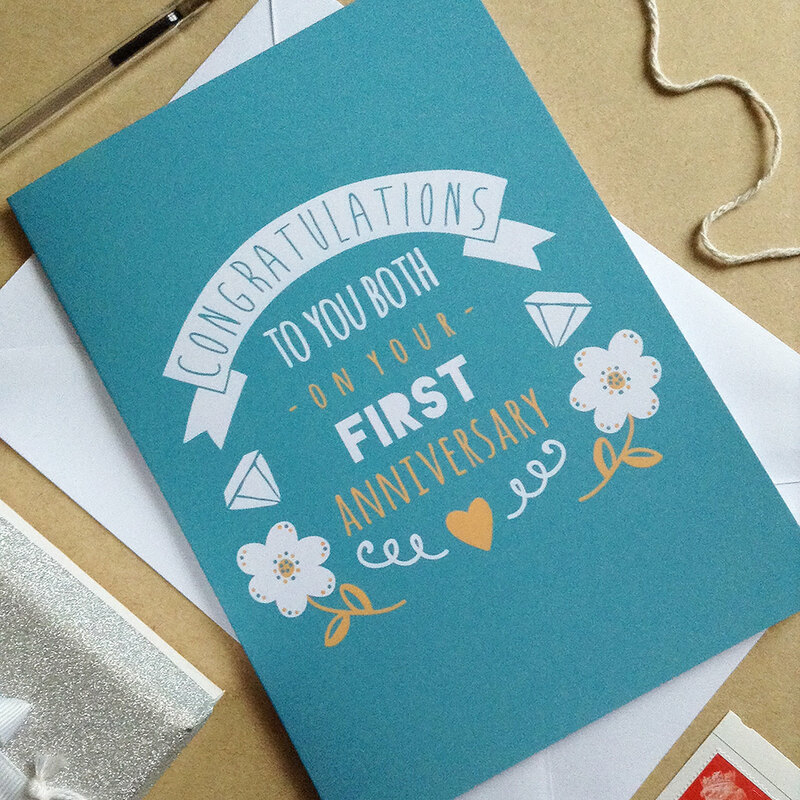 No anniversary is quite the same as another, so you would want to make your cards your own. 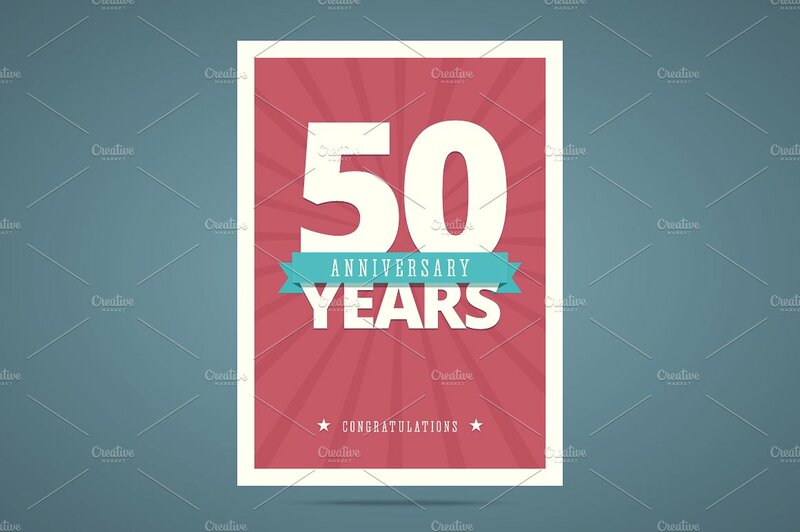 But, there are some elements of these card designs that you can generally expect to find in other anniversary cards, making them more personal. 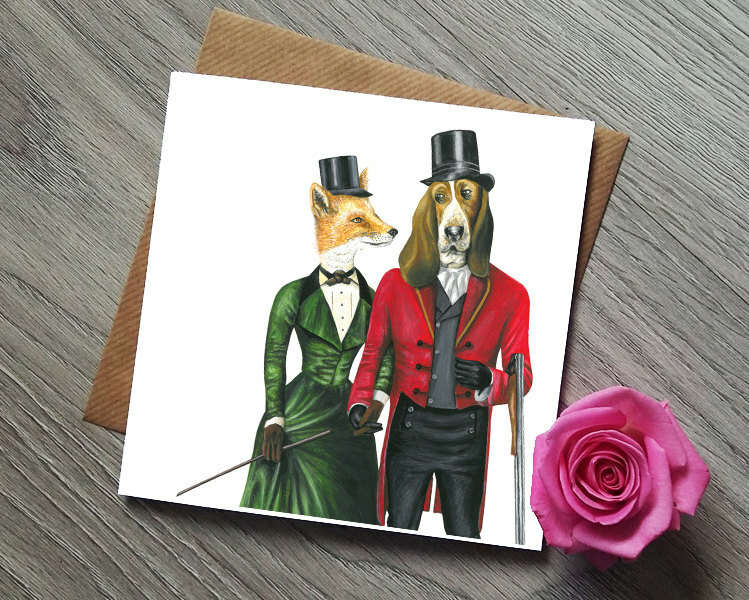 While the names of the couple will go on the cards without saying, it would be wise to include the number of years they have been together in your card designs. 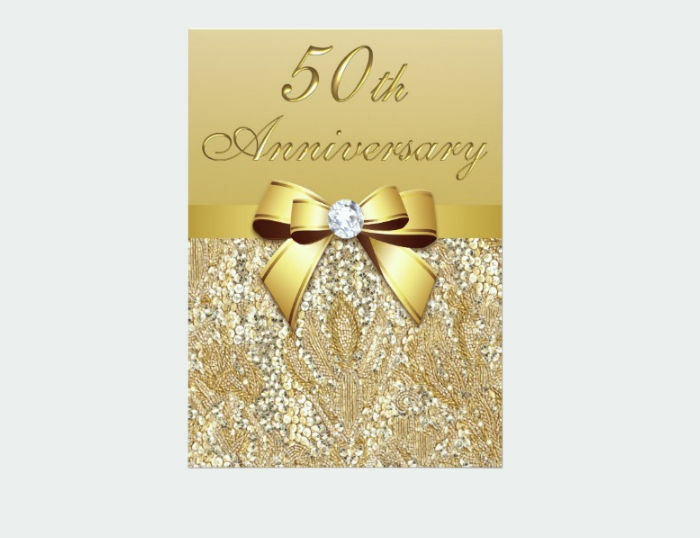 On occasions like these, you would want the number of years to be specific so as to make the cards more meaningful for yourself. 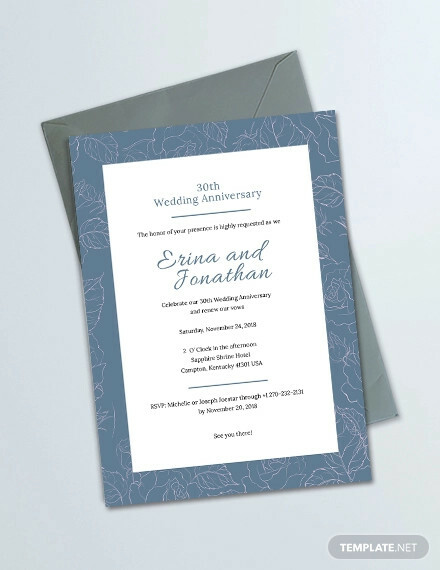 Like invitations to the couple’s wedding, you would want to give your anniversary cards a festive theme in the name of making design more celebratory. 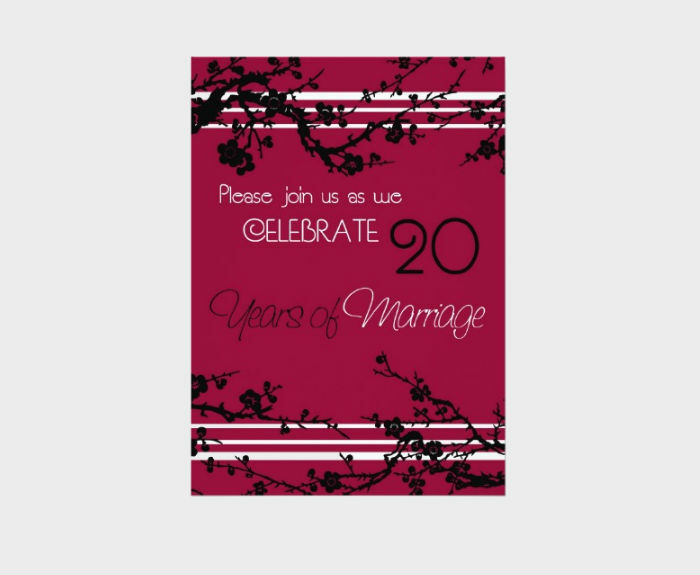 After all, you are celebrating possibly decades of marriage, and you would certainly like to convey the joyous feeling. 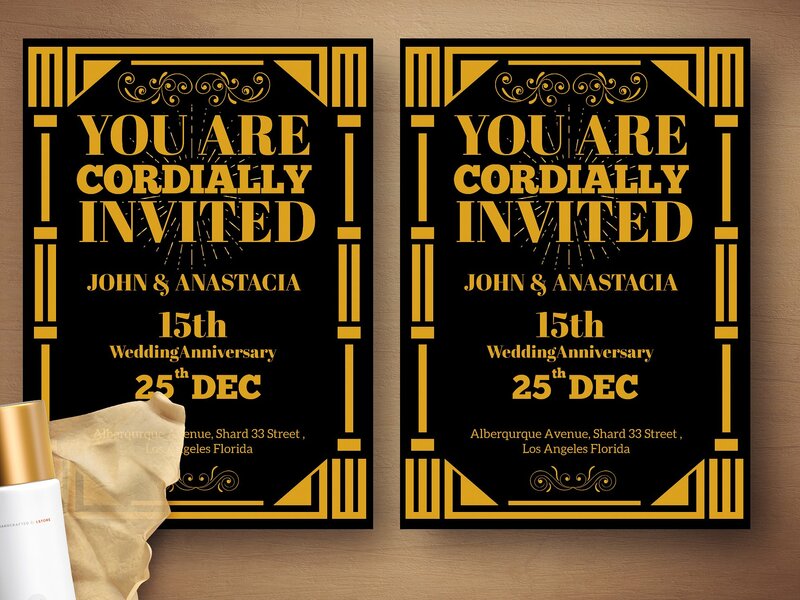 As an invitation design, you would also have to put in the important details, such as date, time, and venue. 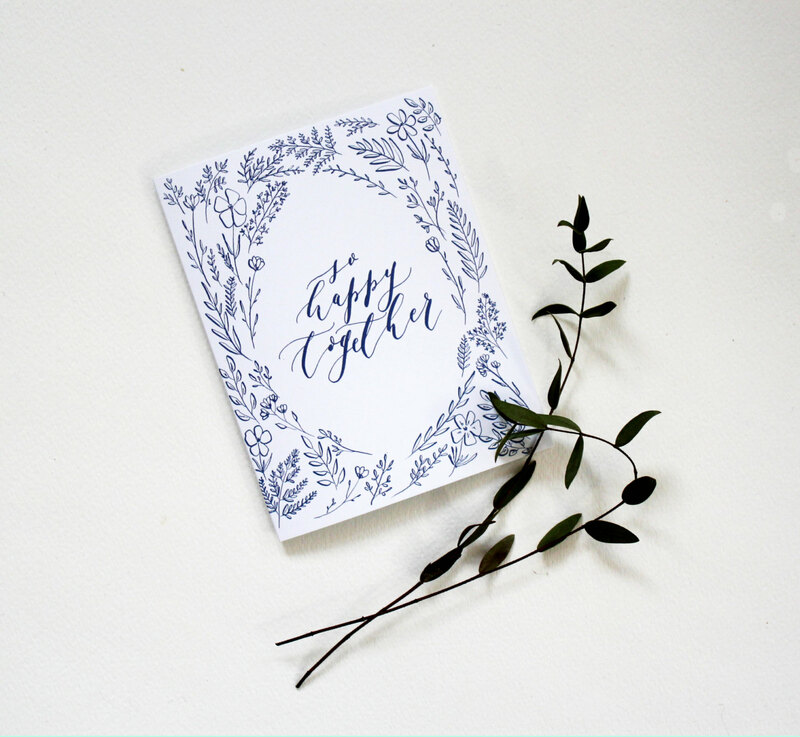 This may not seem like much, but in cards like these, you would have to put these information in to make things more convenient for your guests. 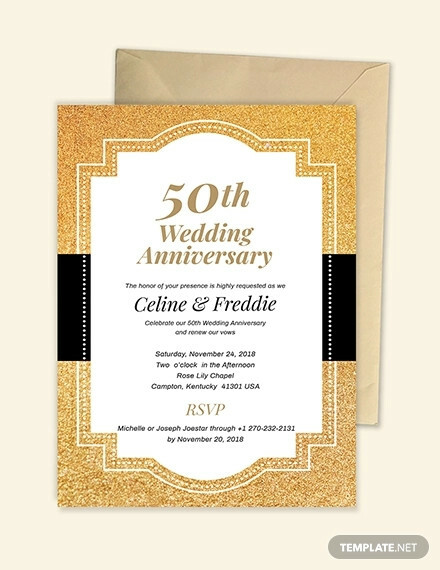 In general, card designs like wedding invitation templates can be made in a variety of themes. This also extends to anniversary cards. 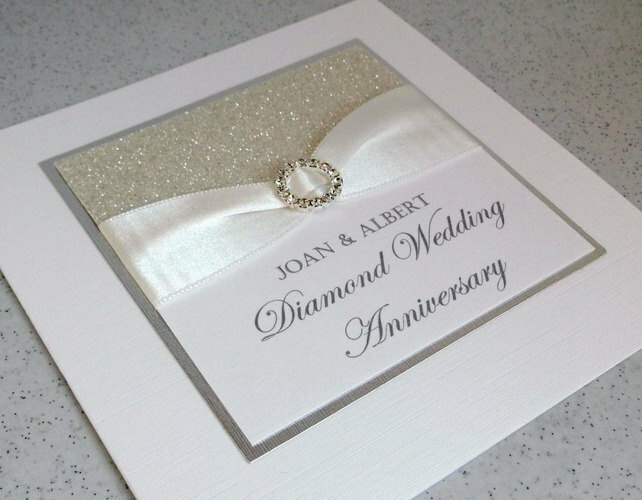 Ultimately, it’s the bride and groom who get to decide on the theme of their wedding, and consequently, the theme of their invitation cards. 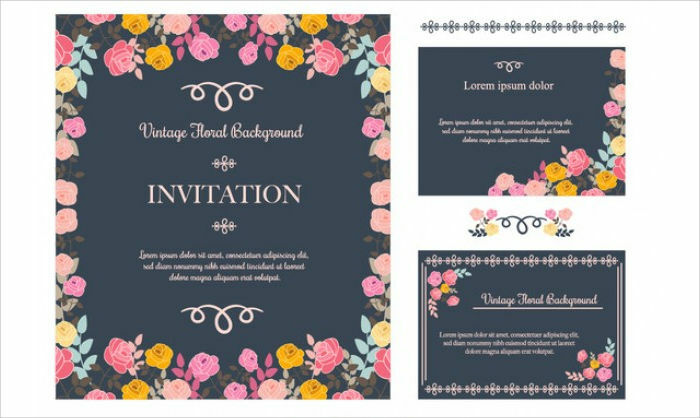 A floral theme is a generally good choice for most occasions considering what a versatile language flowers can be. In the case of anniversaries, flowers can help set a festive air. 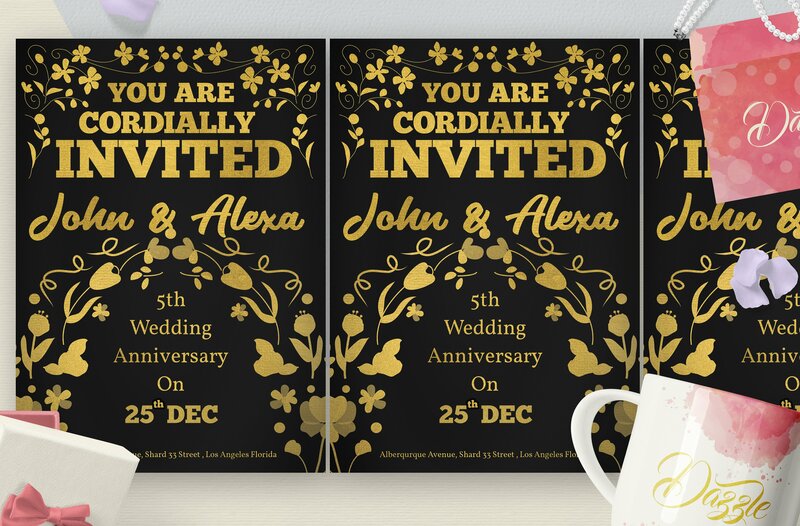 This would be perfect if the couple decide they want the event to be a happy one where they and their guests can celebrate. 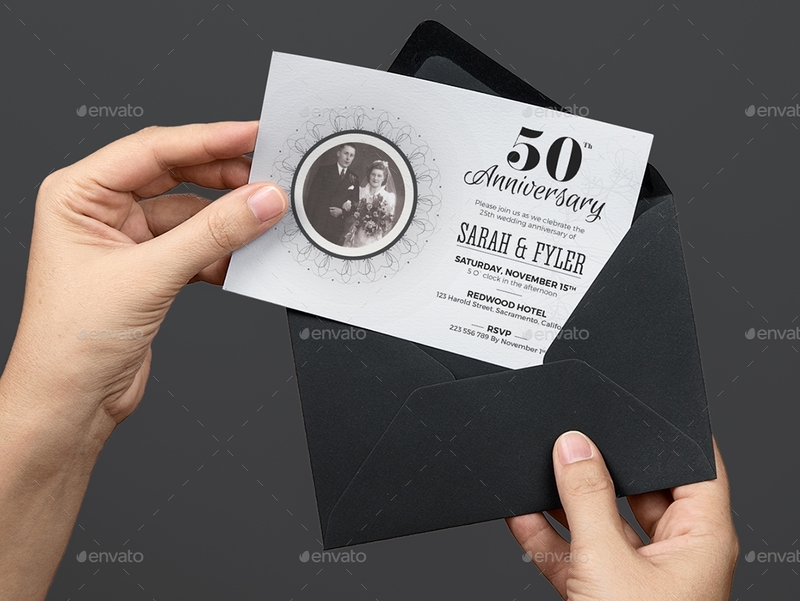 Another theme that might be viable in this case is vintage, such as black and white photos or an art deco aesthetic. 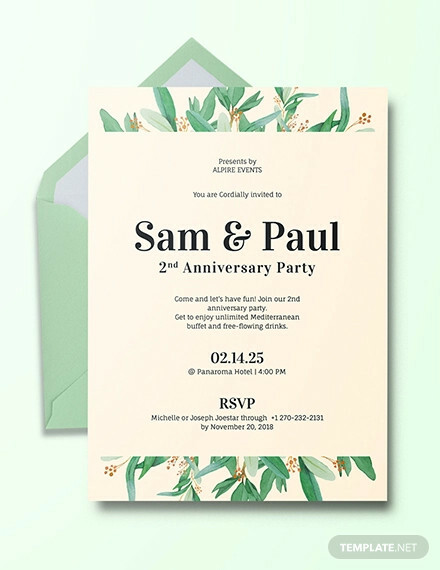 If the couple are feeling particularly tongue-in-cheek, then this would be an amusing theme. 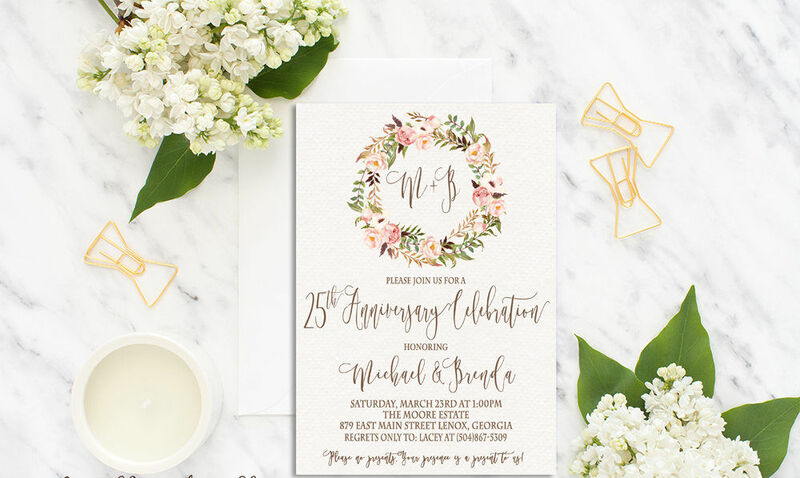 But a vintage theme can serve to highlight how much time the couple have actually had together, which can especially emphasize the weight of time. While there are a great many interesting options available on this page, there is no need to feel as if you should be limited to choosing only from our options. There are even more design options on other pages all over this website, so if you should find yourself in need of more choices, you should have little difficulty finding them.